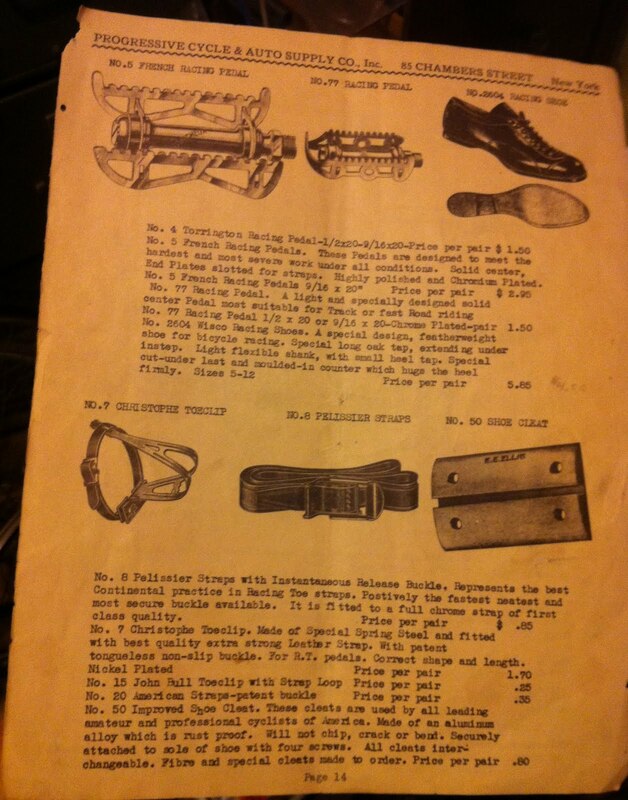 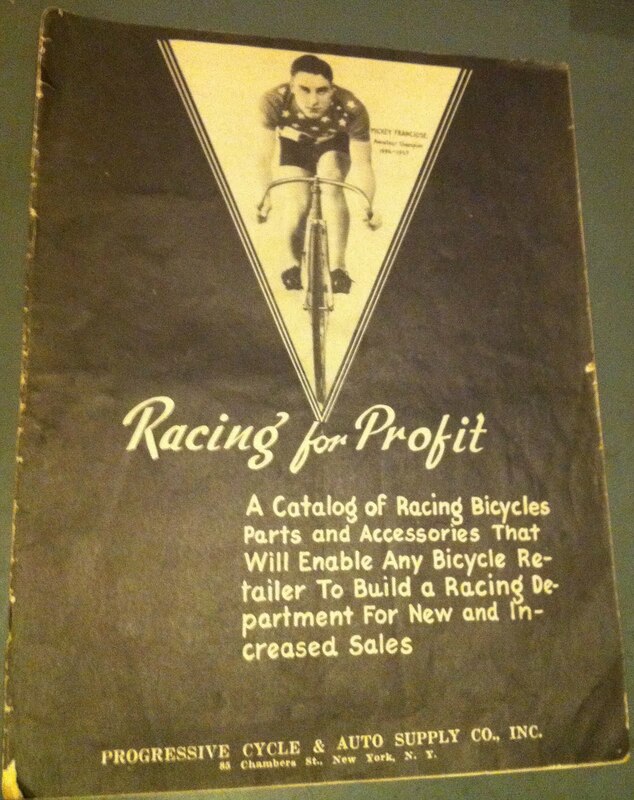 This 1930s bicycle catalog is a valuable source to see what was available here in the United States before World War 2 for racing bikes. 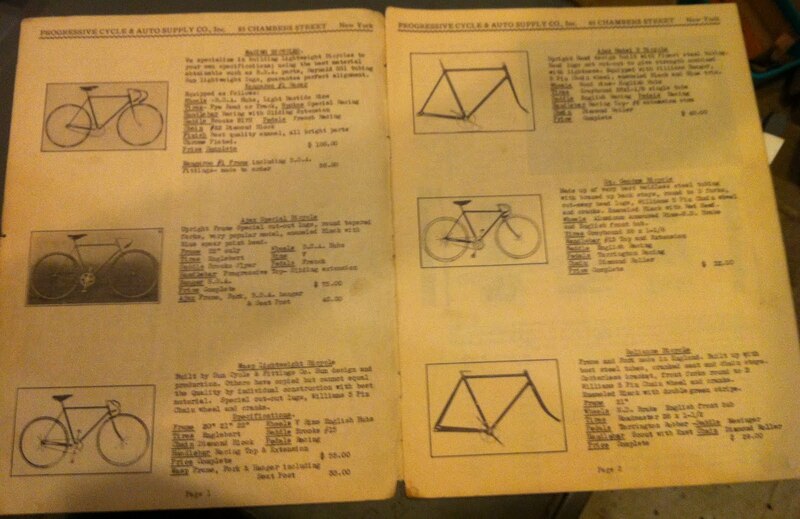 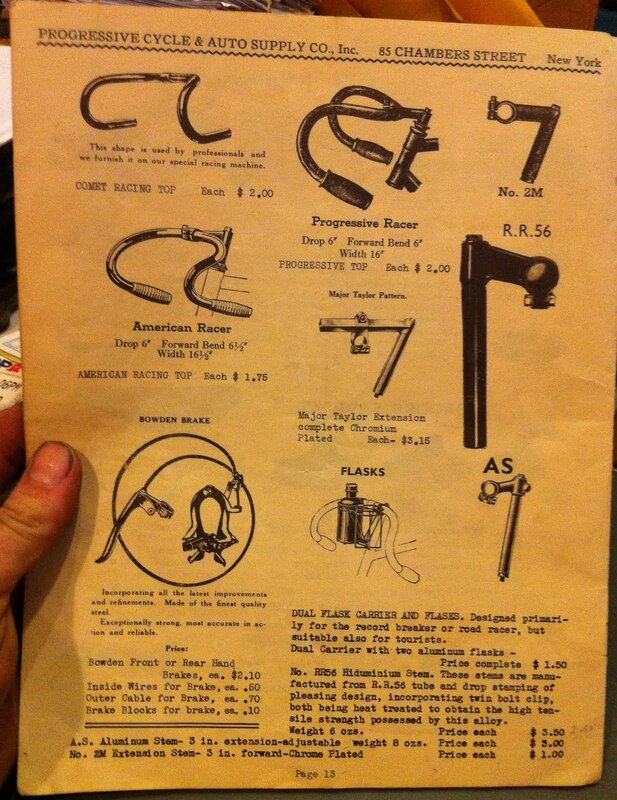 I didn’t photograph the whole catalog, also available was a derailleur, all the bits and bobs to build frames(fittings and tubing), tools, tires/rims, and other miscellaneous and sundry. 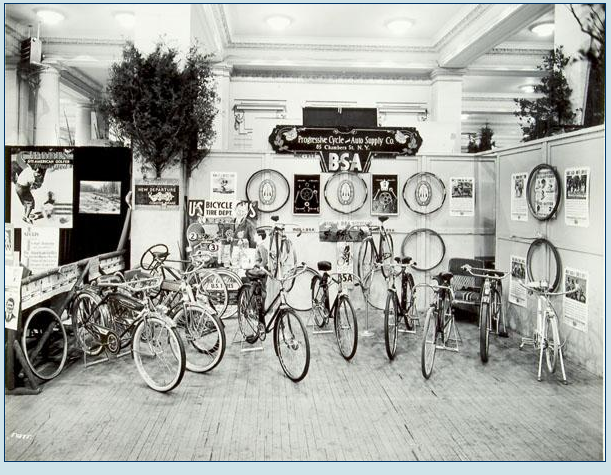 This photograph is from an exhibit at Sportsman Show at Grand Central Palace, New York City, in 1936.